Just bumpin because im just sayin...right Dice? 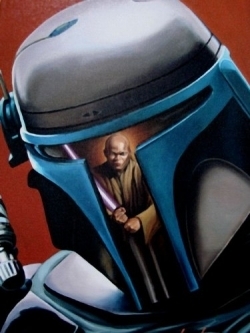 Jango needs to be his own character. New weapons, new maps, Jango Fett, Mace Windu, Dash Rendar, Ig-88 and non-linear gameplay is my feedback. Devs, can we please get some new infantry weapons??? Time constraints most likely. All vehicles we see should be playable in Battlefront games. no question. after my extended play time with all these patches the abilities, blocks and light saber mechanics don't work as intended. This is strictly about the light saber heros and villians. A lot of stutter on consoles. I already have Battlefront 1 and Battlfield V and they run and perform great. Battlefront 2 however suffers from the stutter and lag. This is PS4. They still didnt fix the heavy getting stuck in the slow sentry movement position. Have to reactivate the sentry to start moving at normal speed again. That BFV beta was boring as heck, really should have just focused on BF2 content. That is all. Im in the US east coast and can't seem to find barely any matches anymore, im hoping it was just a ping site error but seems like the population is low for a Friday night. the squad system will definitely fix the mile long runs to the objective, just like battlefront1 did it. They should have just left the partner system in to begin with. This might actually make the game more tolerable lol. Its become progressively worse on consoles, who knows. Above all the other issues, performance in this game is the biggest one. Agreed, usually i'll put up with the lag but its been quite bad than the last. Yeah you guys and gals over at Dice might want to get on that, the treatment to new in-game content is abysmal, to be frank. Let this be a lesson in case they bring out a third installment. They're dragging this out and its inexcusable. Can we just face the heavy fact that they will never fix these abilities, like ever? They don't know what they are doing. I did the same, spent 20 bucks on an epic just to support this game.